I’ll keep this short and simple. 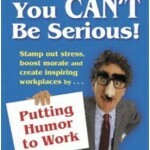 Humor surrounds our everyday lives, some love it and others not so much, but the question is when is it okay and is it okay to use it in a professional setting. Some people are born natural comedians and others well, some may lack humor but when is it okay to make things funny. 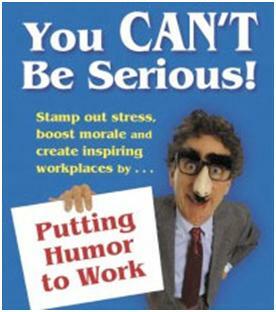 According to Chris Robert, assistant professor at the University of Missouri-Columbia’s, Robert J. Trulaske Sr. College of Business “humor: it’s not just clowning around and having fun; it has meaningful impact on cohesiveness in the workplace and communication quality among workers. The ability to appreciate humor, the ability to laugh and make other people laugh actually has physiological effects on the body that cause people to become more bonded”. With that being said, have a few laughs at work, make it an enjoyable place to work, but know when to play and when to work. Never lose your companies mission. Smile and enjoy life.